DASI seeks to gather all known pre-Islamic Arabian epigraphic material into a comprehensive online database, with the aim to make available to specialists and to the broader public a wide array of documents often underestimated because of their difficulty of access. By means of a digitization process through a hybrid data entry/xml system, DASI gives access at present to nearly 8,200 Ancient South Arabian inscriptions and 600 more anepigraphic objects recorded by the University of Pisa team under the direction of Alessandra Avanzini. Thanks to the collaboration with other major European centres for the study of the Arabian Peninsula, also parts of the corpora of the Ancient North Arabian inscriptions (supervision by Mr. M.C.A. Macdonald, University of Oxford), Nabataean inscriptions (supervision by Dr. Laila Nehmé, UMR 8167, CNRS-Paris) and other Aramaic inscriptions (soon available, under the supervision by Dr. Maria Gorea, Université de Paris VIII) have been digitized. DASI project was funded by the European Community within the Seventh Framework Programme “Ideas”, through an ERC – Advanced Grant awarded to Prof. Alessandra Avanzini at the University of Pisa (2011-2016). The Scuola Normale Superiore di Pisa, additional participant of the project, was responsible for the technical development of the archive, which is now maintained at the Consiglio Nazionale delle Ricerche, Rome. 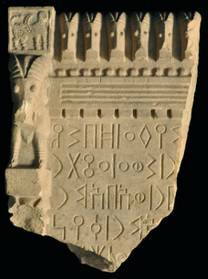 The ASA (Ancient South Arabian) corpus is one of the most interesting collections of epigraphic documents of the Semitic world, first and foremost for its vastness. With its over 15,000 inscriptions, it is the first-hand, written documentation of the culture that flourished in South Arabia from the late second millennium BC to the sixth century AD. At present, CSAI contains a collection of some 8,150 texts digitized by the team of the University of Pisa under the direction of A. Avanzini. 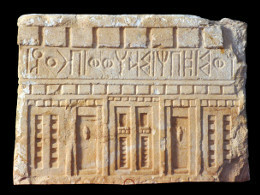 The Online Corpus of the Inscriptions of Ancient North Arabia (OCIANA) is a project of the Khalili Research Centre of the University of Oxford, directed by J. Johns and M.C.A. Macdonald. It aims to present an easily updatable, online edition of all known Ancient North Arabian inscriptions: Taymanitic, Dadanitic, Hasaitic, Safaitic, Hismaic and Thamudic. 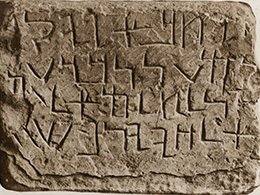 The Corpus of Aramaic inscriptions on DASI is composed of inscriptions found in Taymāʾ and its region and in the Gulf in the Achaemenid and post-Achaemenid periods. 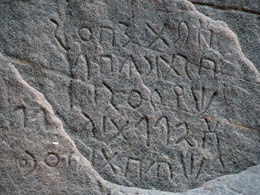 The corpus of Aramaic inscriptions is under the supervision of Maria Gorea (Université Paris VIII). 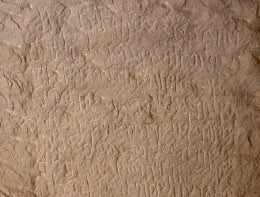 The Corpus of Nabataean inscriptions on DASI has been accomplished thanks to the agreement with the CNRS laboratory UMR 8167 – Mondes Sémitiques, under the scientific supervision of L. Nehmé.